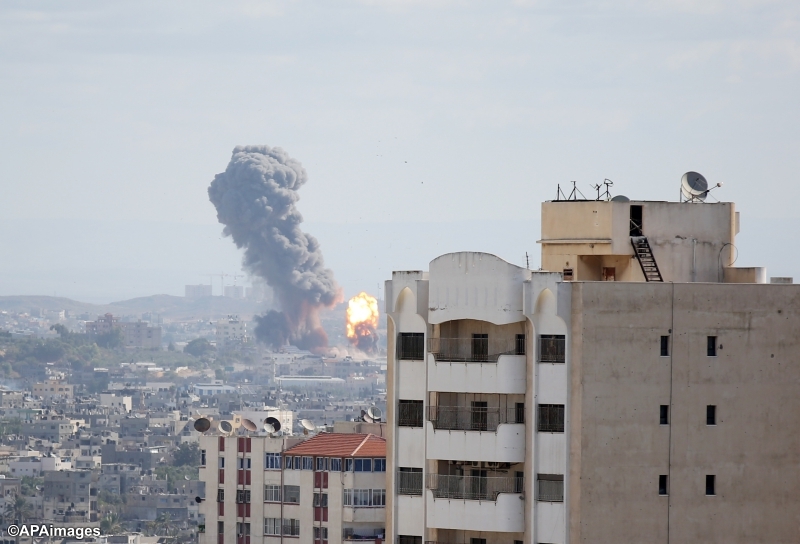 Between Friday night and Saturday morning, 26-27 October 2018, the Israeli air force launched 70 missiles in 29 raids on training sites, populated areas, and empty fields in the Gaza Strip. The attacks destroyed one building, and caused damage to one hospital and tens of houses—in addition to spreading fear and anxiety among the population, especially children. -- At 12:35 am on Saturday, 27 October 2018, Israeli aircraft launched three missiles at a training site in the east of the Shaikh Zayed area in Beit Lahia city, North Gaza. The attack caused severe damage to the site, and resulted in damage to the windows and ceiling in the nearby Indonesian Hospital. No casualties were reported. 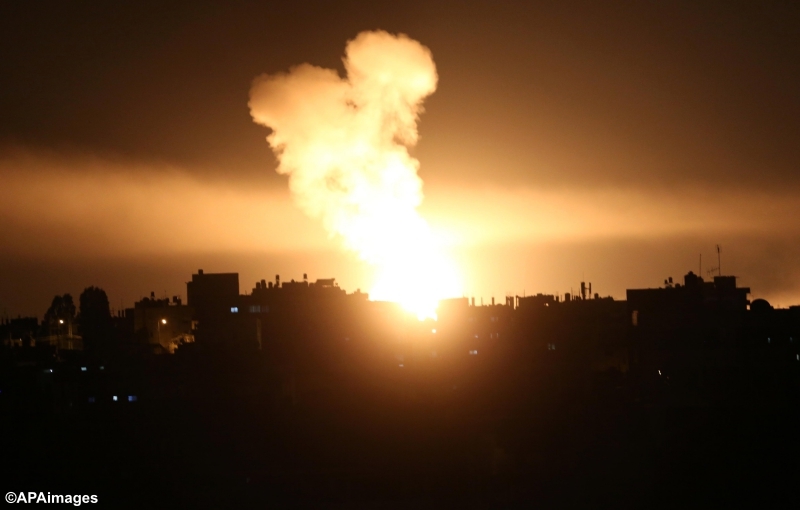 -- At 5:10 am, Israeli drones fired three missiles, at intervals of a few minutes, into an uninhabited building in the Al-Daraj neighbourhood, Gaza City. 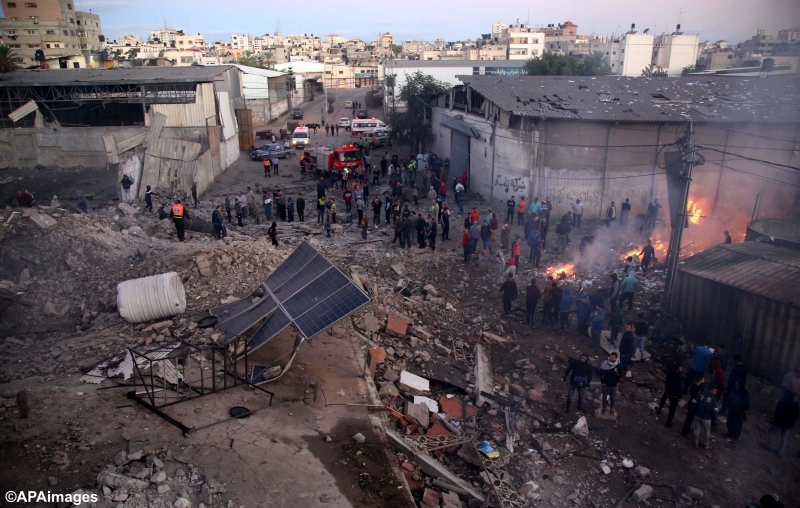 Fifteen minutes later, an Israeli military aircraft fired four more missiles into the building, resulting in its complete destruction. 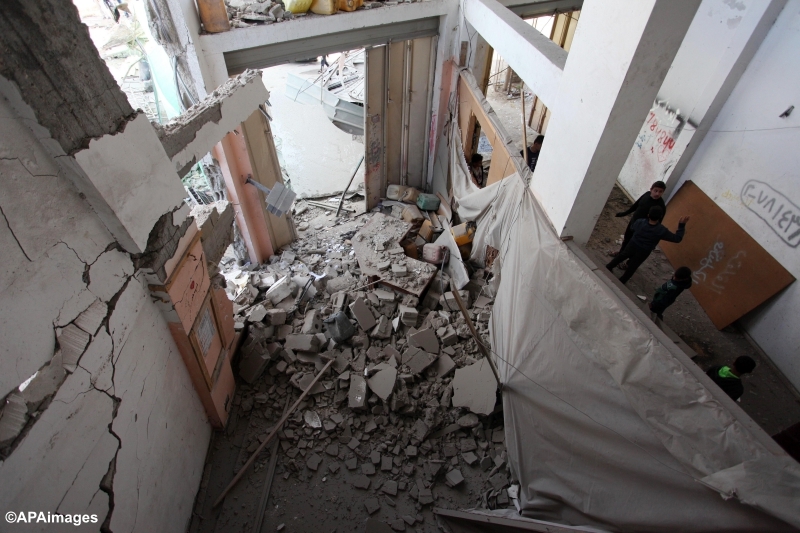 Some houses and apartments nearby sustained substantial damage in the attack, which was launched in a populated area. No casualties were reported. -- At 2 am on Saturday, 27 October 2018, medical sources stated that Mujahid Aqel, 24, a resident of Al Nuseirat refugee camp in the Middle Area, died of wounds he sustained during his participation in demonstrations in the east of Al Bureij refugee camp on Friday, 26 October 2018. Al Mezan’s documentation shows that at 5 pm on Friday, Aqel was wounded in his left thigh with a live bullet. At 5:20 pm, he was received at Al-Aqsa Hospital in critical condition and was referred to Al Shifa Hospital. At 2 am on Saturday, he died from his wounds. -- At 5:15am on Sunday, 28 October 2018, medical sources stated that Yahya Al-Hasanat, 37, a resident of Al-Mughraqa village in the north of the Middle Area, died of wounds he sustained at the demonstrations in eastern Al Bureij on Friday, 26 October 2018. Al Mezan’s documentation shows that at 5 pm on Friday, Al-Hasanat was wounded in the head with a live bullet. At 5:25 pm, he was received at Al-Aqsa Hospital in critical condition. Prompted by his condition, at 6 pm, doctors referred him to Al-Shifa Hospital, where he received treatment until his death on Sunday. The two deaths bring the total number of Palestinians killed since 30 March 2018 to 224, including 170 killed in the demonstrations. The Israeli military continues to hold the bodies of ten of those killed, including two children. Al Mezan condemns the military’s targeting of civilian property and the damage caused to the Indonesia Hospital, houses and apartments in the densely-populated area of attack. Al Mezan also stresses its condemnation of the Israeli forces’ continued use of unlawful force against protesters, medics and journalists within the Great Return March. Al Mezan warns against further escalation of military force as it could lead to a full-scale military bombardment. Al Mezan urges the international community, led by Parties to the Fourth Geneva Convention, to take prompt and effective steps to seek a de-escalation in the situation in Gaza and to pressure Israel to end its unlawful closure and blockade now in its eleventh year. The protection of civilians is a prime legal obligation and is, now, a test to the authenticity of the commitment of the international community to their legal obligations, moral standards and humanitarian objectives in Gaza. 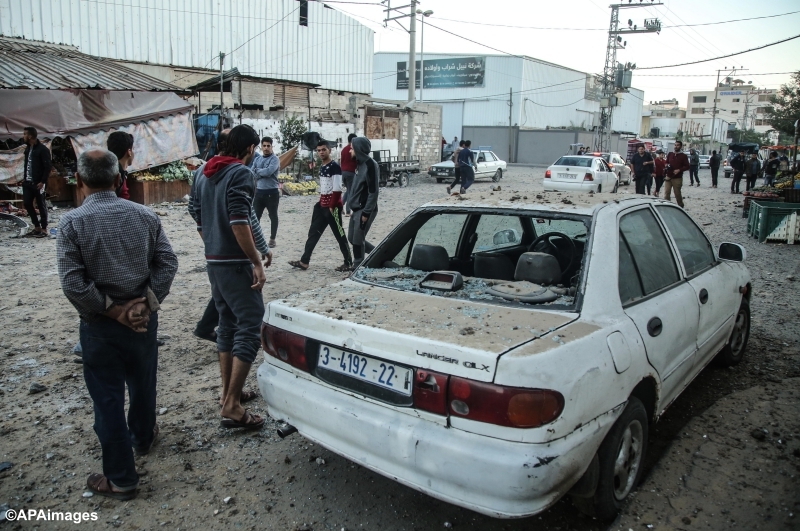 Al Mezan stresses that impunity serves as encouragement for the commission of further international law violations, and calls for accountability and justice mechanisms to be activated as found to be relevant to the attacks in Gaza.